Dr Rathke, a father with young children, understands the importance of a positive dental experience. Parents should always talk about their dental visits in a positive way. Avoid discussing shots, pain or drills! 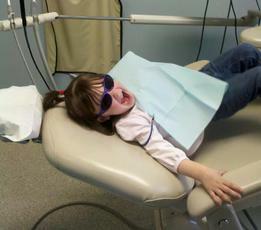 Help children understand the point of visiting a dentist is to keep our mouth healthy and happy. Visits go much better with children when they are not afraid because of things others have told them. Dr Rathke typically begins seeing children by age three, please call if there is anything of concern before then. While it is true some children may need to see a pediatric dentist during their childhood, most children can be seen by a willing general dentist. Dr Rathke and his staff work hard to provide compassionate and comfortable care for the entire family.